Airbrushes require very fluid consistency paint to guarantee an even coverage of colour. Fluid paint is also less likely to clog up the brush. 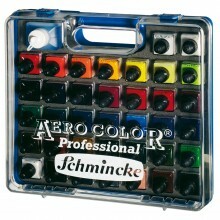 Here is a selection of paints that you can use with airbrush.